Guess what's back, back, back! 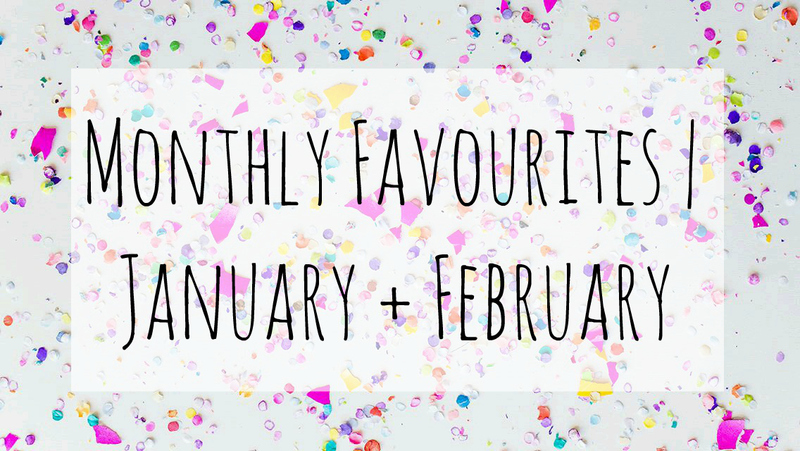 Monthly favourites, yay! However, seeing as I missed the January favourites time slot I thought I'd mix together my favourites over the past two months seeing as a lot of them have carried on from January well into February. 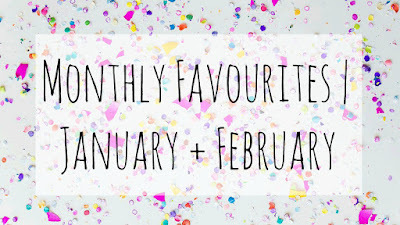 So without further ado let's dive into my monthly favourites. 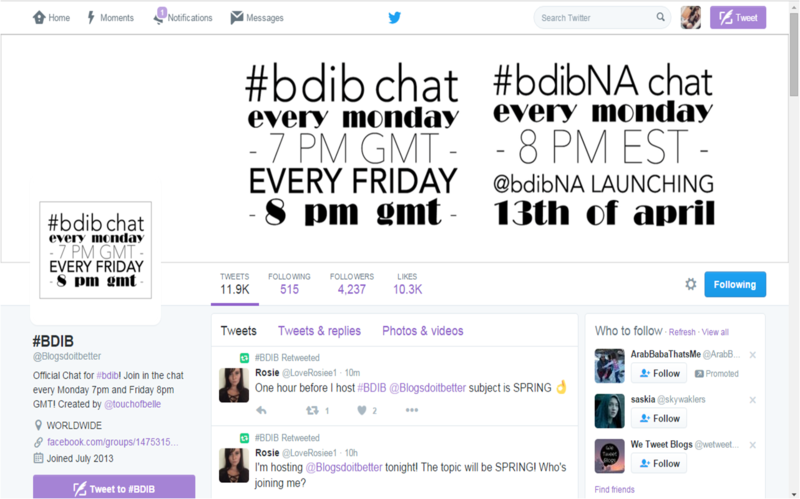 I was introduced to the idea of blogger chats on Twitter in January and fell in love with the concept. I love being able to talk to other bloggers about blogger related topics. Even though I didn't take part in any during February because of revision I'm hoping to get back into the swing of things with them because they are a great way to promote yourself and make blogging friends at the same time. 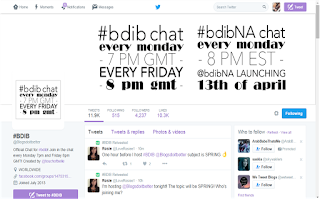 My favourite Twitter account that hosts blogger chats is @Blogsdoitbetter, if you're a blogger and want to make some new friends definitely check out blogger chats. Speaking of blogger friends. If you haven't heard of Marianna you've obviously been living under a rock. 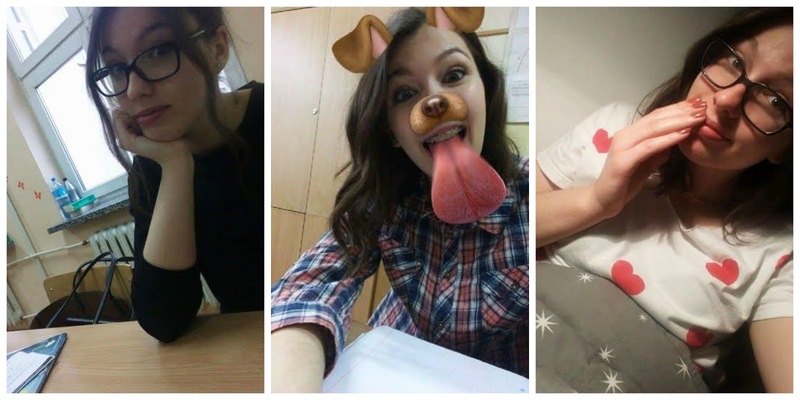 Marianna is someone I consider to be a close friend of mine even though she lives in a different country. How are we friends then? Blogging. That's right ladies and gentlemen through this little blog that I do I've made an amazing friend and don't know what my life would be without her. Marianna is definitely one of my favourites and will continue to be. Check out her absolutely amazing blog here. I do feel as if I've gone on about the school production of Les Misérables forever but I'm still not quite over it. 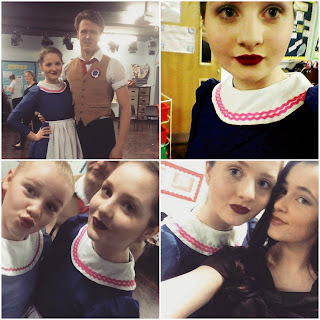 I took part in my last school musical which I could be on stage this year and had a freaking awesome time doing it. There were a lot of tears shed on the final night for various reasons but there were also a lot of memories and friendships made which I'll be forever glad for. Even though I wish I could do it all again in a heartbeat because I miss it so much I'm also glad that I did it and had the courage to do it. I loved doing the school musicals and even when I'm at sixth form I'm going to help out as much as possible. I wear glasses full time, apart from when I'm in bed I never take them off otherwise I'd basically be blind. During February I wore contact lenses sometimes because I had to but also sometimes because I wanted to. I had to wear them for the performance of Les Misérables that I've just talked about otherwise there would've been a reflection on my glasses and then I wore them a few times for various birthday celebrations. I feel as if I've become quite the expert now in wearing them and am quite impressed that I have. 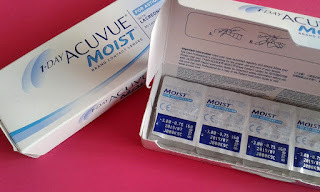 I really have loved wearing contact lenses throughout February because even though I do love wearing my glasses I sometimes feel as if they take away from outfits I wear so the contacts give me that extra bit of confidence. 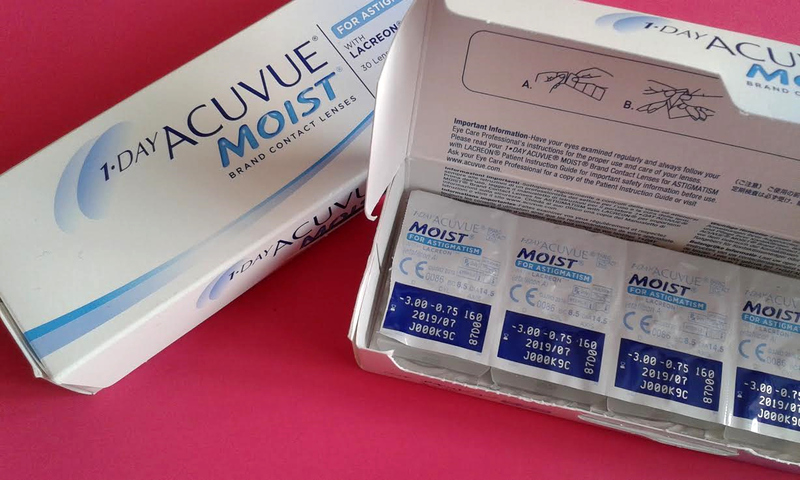 If you're a glasses wear I definitely recommend that you talk to your optician about contact lenses. At the end of last year I set myself the task of drinking much more water but didn't really know how to keep on track with it. I'd heard of water tracking apps but never really ventured into the idea however, I found this app called HydroCoach and it's probably been one of the most helpful apps I've ever downloaded. I think it's because when I've not drunk enough water it notifies me so I remember to drink water. It's quite simple to use; you just type in your weight and then can edit the weather and your lifestyle for the day and it tells you how much you should be drinking. I think that if you decide that you want to drink more water, water tracking apps are the way forward for you. This has been the soundtrack of my life basically since the start of the year and has been one of the only full soundtracks that I've listened to. Now I'm not going to lie to you all this soundtrack is most definitely not for innocent ears, there a couple of swear words throughout the soundtrack and some of the songs are sexually orientated but that hasn't put me off listening to this on repeat. I love the soundtrack and most definitely think you need to check it out, I'm going to link the playlist of the soundtrack that I've been listening to on YouTube here. These TV programmes are what I look forward to all week, I'm not even lying. I love sitting down on a Friday night with my mum and sometimes my little sister to laugh and comment along with all the TV programmes that these families have to watch every week. Some of the things that they come out with on that show make me and my mum howl with laughter. Call The Midwife has been one of my favourite shows since Season 1 and every season they get better and better. As you're reading this the newest season has just ended and trust me the last episode was a tear jerker but I've loved the whole season. They've dealt with some pretty serious topics this season for example the controversy surrounding the Thalidomide babies, alcoholism and sexuality. I definitely recommend that you watch this if you want a feel good TV programme that also has a serious underlying message. My favourite moment of the year so far and maybe even the year in general. I've had a love for Leonardo DiCaprio since the day I was born, okay maybe not since then but he was a very early on celebrity crush of mine and has been since. I just love his acting skills and the movies he does and he's not too bad on the eyes either. However, Leonardo DiCaprio had never won an Oscar which angered me because he's an amazing actor but this all changed on Sunday February 28th because my baby won his first ever Oscar for Male Actor In A Leading Role for his role in The Revenant. I am yet to watch it but I already know it's going to be amazing. I'm not kidding when I woke up on the Monday morning the first thing I did was check Twitter and I actually cried when I found out he had one. I was just slightly excited!! Snack time!! 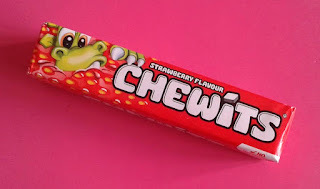 Over February I've noticed a certain sweet treat popping up in my daily routine - Chewits. 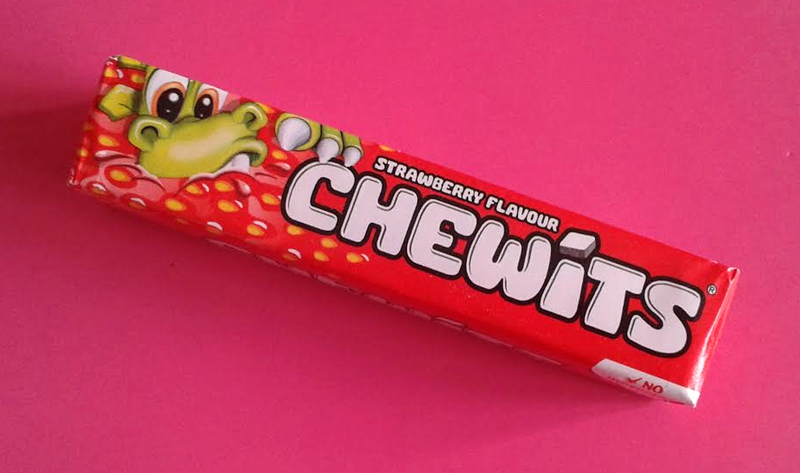 If you're not from the UK, I don't know if they sell them anywhere else, Chewits are basically soft, chewy strawberry flavoured sweets - they do sometimes come in other flavours like fruit salad which are my favourite but only come in a multipack. Anyway, getting back on subject, I've really loved eating these instead of having a big bag of sweets because it feels filling enough to have a small packet of these but it also feels as if I'm managing my sugar intake a lot better which is a win win. 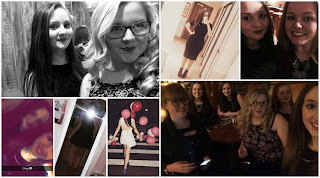 If you haven't realised by now I turned 16 towards the end of February and had the best birthday EVER!! I got the best presents ever - check them out here, wore some amazing outfits - check them out here and overall just had an absolutely amazing time! I couldn't have asked for a better birthday and I really don't know what's going to top it, guess we'll have to wait and see. I'm a music fanatic, as most of us are and I love finding new songs to listen to on repeat until I almost can't stand to listen to them anymore. There have been three songs that I definitely did this with in February, not so much January - that was a mix of everything. I definitely think that you should go check out all these songs but if you haven't heard them already, are you living under a rock?! These are literally amazing songs that must be listened to by all. So I hope you've enjoyed today's blog post, I'm really glad that I'm getting back into my monthly blog posts - they are some of my favourite things to write, not going to lie. What have you been loving this month? I'd love to know! Labels: BEAUTY, FAVOURITES, MUSIC, T.V.